Much recruitment is now done by video, at least initially, so it is important for players looking to showcase their talents to look good on tape. The Goalkeeper has a great opportunity to show what they can do as they are easy to spot and hopefully it can showcase how important you are to any prospective team. 1 – Use any footage that local news has covered of your performance or your team’s performance. 2 – You need to show (for some of the footage) a wide angle to show both the standard of play that you are involved in and your positioning when the ball is in different parts of the field. 3 – Get an elevated view of the game. 4 – Don’t just show saves. Show evidence of communication, organization, and encouragement. 5 – Try to categorize saves to show capabilities in each aspect of goalkeeping. High Balls & Crosses, Shot Stopping, Diving at feet & Distribution. 6 – Use a “Goal Cam” to show the same save from a different angle. 7 – Showcase good distribution, especially if it starts an attack. Rolls, Overarm throws, Goal kicks, Punts and dealing with back pass both short and long. Tim Howard’s quick distribution shown here is a good example of distribution to be shown. 8 – Repeat special saves in slow motion, but do not do this with every save. 9 – Make sure the saves you select show you in a good light technically. 10 – Show footage from training. This will show the intensity in which you train, footwork and handling. 11 – Don’t drag out the video too long… Often recruiters have many videos to look through. 12 – Make a positive impression within the first 10 seconds of the video. FC Westchester gets all their Academy games recorded professionally which allows for some great highlight reels. 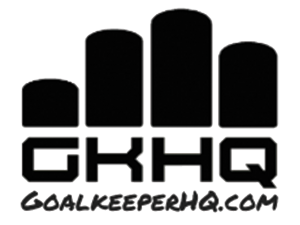 If you enjoyed this article, please sign up to our weekly newsletter where you will get goalkeeper tips and hints as well as discussion on relevant goalkeeping topics. Please fill out the form below.